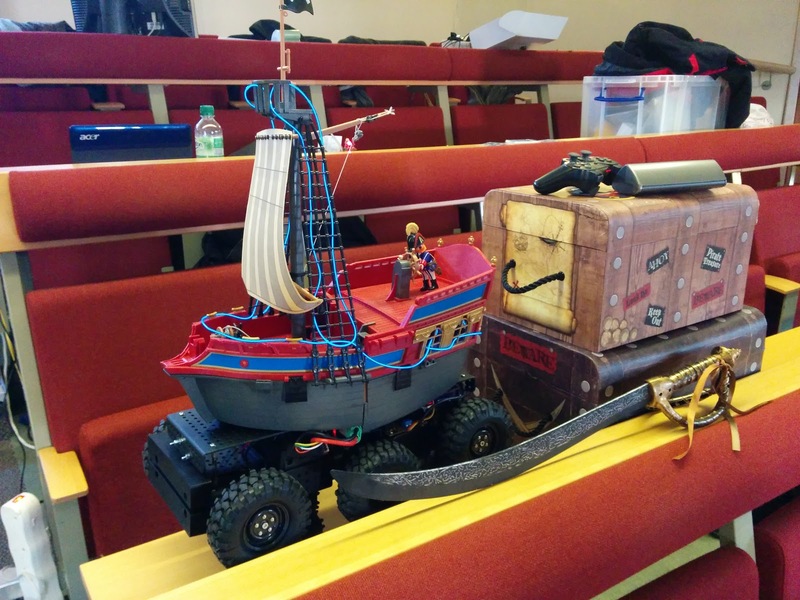 I'm Leo White, a software developer and hacker of toy robots, and this blog will track my progress towards PiWars 2015 that is being held December 5th in Cambridge. So that gives me just over 3 months to design, build and get running a (hopefully) competition winning robot! Last year I was a competitor in PiWars 2014 with my Pirate Ship/Robot 'BiggerTrak' which was built around a Wild Thumper chassis and won the 'Best Remote-Controlled Robot' category. This year the plan is to build the robot from scratch.. which will be a bit more of a challenge! So join me for the next few months as I track the highs, lows and potential destruction of my PiWars 2015 entry 'Optimus Pi'!